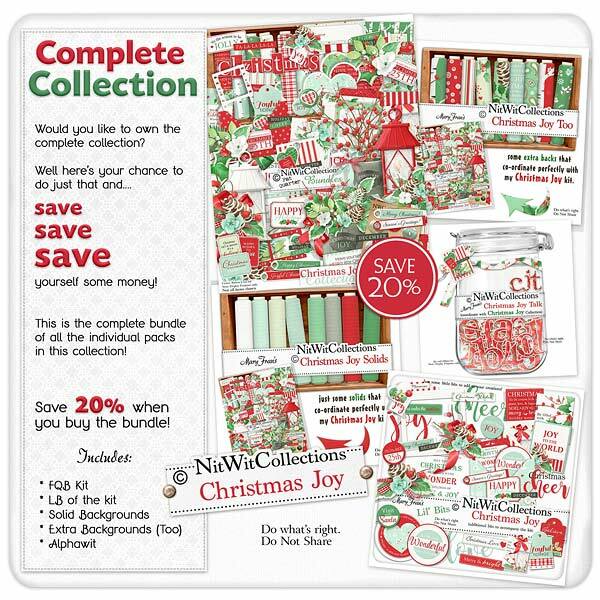 "Christmas Joy" Collection brings together the looks and feelings of a decorative Christmas using Mother Nature's bounty! The traditional red and green colour palette starts off this digital Christmas kit, but you will quickly be overtaken by its beauty and splendor! The birch trees background papers, arrangements of berry laden branches in old tin containers, clusters filled with holly and pinecones and worded journal cards, tags, and tickets will have your thoughts brimming with Christmas creativity. We hope that this kit stirs the Christmas spirit in you and that you have a wonderful Holiday Season!